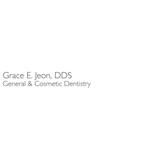 Grace E. Jeon, D.D.S., P.C. (New York) - Book Appointment Online! Grace E. Jeon, D.D.S., P.C. Dr. Jeon is always fantastic.